Everyone feels the urge to know about his or her future. Some have this urge because they are apprehensive by nature, some because they are overly optimistic and some are just curious. Now over time different kinds of methods have developed to predict the future. Of these the one that has gained huge popularity is the method of tea leaf reading. 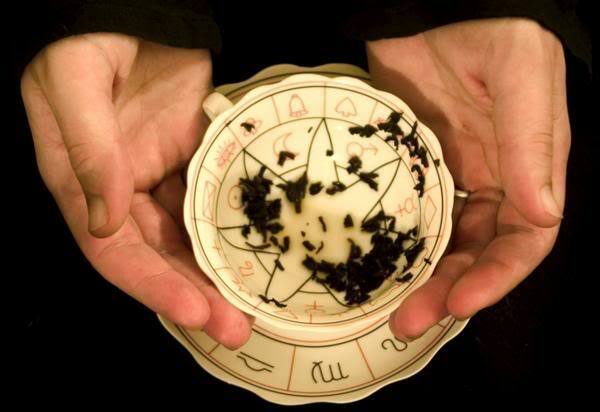 Tea leaf reading is a rather old method of predicting the future. This method is based predominantly on the patterns formed by tea leaves. The different aspects of the future predicted may vary in different cases. While in some cases only a few of the events for 2014, 2015 are revealed, in others the entire future life is revealed. There are many staunch believers of this method. In Tasseography the basic rule is to understand and use the hidden symbols to predict the future. Experts believe that for this method to work appropriately one needs to be in a quiet and a peaceful environment. The one asking the question needs to concentrate on the question because then only the inner psychic of that person will know the right answer. This divination tool does most of the work if appropriately operated upon. All the user needs to do is enter his or her name and then ask the question. Then within a few seconds the tool will come up with the readings. Normally there are three reading based on the patterns of leaves that would have been formed. The first symbol is indicative of the things that are very important and are pertaining to the immediate future. The second symbol is for the things that are important but are not exactly potentially life changing. The third and the last symbol represents the things that are subject to change. Sometimes the results might not be what one could have hoped for. This leads to people doubting the veracity of the prediction. Now this might happen either because the entire process was not done properly that is without full concentration. So the question needs to be repeated properly. There are different kinds of tea that could be chosen in this analyzer, some of them being Ceylon, Ten Wu, Darjeeling and Oolong. Tasseography has survived through a long time and has gained popularity over time. The tool has now simplified the process of tea leaf reading and has given many people a chance to see their future. So one must try using it, especially because it is considered as one of the of most intuitive and creative methods of prophecy.